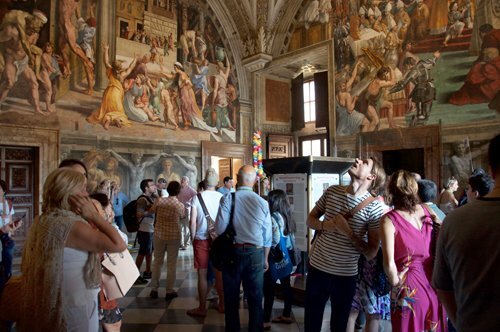 Vatican Museums: book your tickets now! 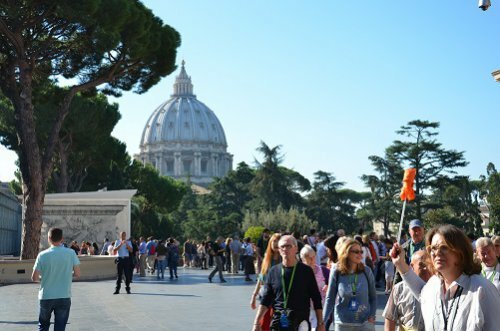 Vatican Museums: enjoy your tour with a private guide! The Vatican Museums include a large number of works of art that belonged to the Catholic Church. Approximately 70,000 pieces that are displayed on a surface that covers more than 40,000 meters. In addition to the world-famous masterpiece of Michelangelo, the Sistine Chapel, one of the most important works of art preserved in Vatican City, it is possible to admire the various museums that are on the route, the Vatican Palaces with the Galleries, the Chapels and the other rooms as well as an extraordinary number of works of ancient, medieval, renaissance and modern art.  Among the museums that are part of this complex we have: the Chiaramonti Museum, the Profane Gregorian Museum, the Gregorian Etruscan Museum, the Gregorian Egyptian Museum, the Pio Cristiano Museum and the Pio Clementino Museum, the Missionary-Ethnological Museum, the Museum of the Vatican Library, the Superior Galleries and the Collection of Modern Religious Art. The Vatican complex was originated in the mid-1400s with Pope Nicholas V who commissioned the project of the St. Peter's Basilica to Bernardo Rossellino and called Beato Angelico (Blessed Angelico) to decorate the Niccoline Chapel. At the end of the 15th century with Pope Sixtus IV, the Sistine Chapel was built, which was later decorated by Michelangelo by the will of Julius II. In the late 1400s, Pope Alexander VI Borgia established his residence in one of the reserved wings of the Apostolic Palace. The decoration of this part of the Palace was commissioned to Pinturicchio, who composed a wonderful series of frescoes to decorate the different rooms. 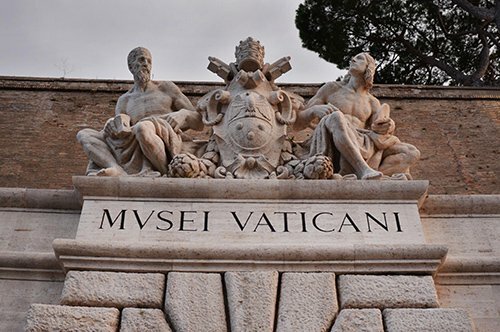 In the early 1500s, Pope Julius II founded the Vatican Museums and in 1771, Pope Clement XIV opened its doors to the public. History says that, at the beginning of the 16th century, the statue of Laocoon was found in a vineyard and that following the advice of Michelangelo and Giuliano da Sangallo, Pope Julius II, bought the statue and exhibited it in the Vatican. The Vatican Museums are one of the most visited and important museums in the world. They are in Rome in Viale Vaticano and are part of the Vatican City State. Within the Vatican Museums are exhibited art collections that belonged to the various Popes. The route extends for seven kilometers of halls, corridors and gardens, also includes several museums such as the Vatican Pinacoteca (Art Gallery), the collection of modern religious art, the Missionary-Ethnological Museum, the Gregorian and Egyptian Etruscan Museum, the Pio Clementino Museum among others. 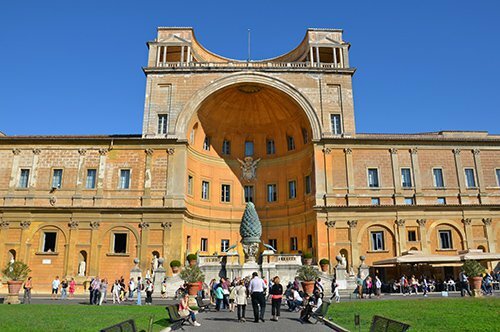 The Vatican Museums include Galleries, Chapels such as the Sistine Chapel and the Niccolina Chapel, and other halls and rooms that you can't miss. Did you know that Pope Pius XI, in 1938, refused to meet Adolf Hitler who was invited to Rome by Benito Mussolini and the King? To make sure he did not have to meet with him, the Pope moved to Castel Gandolfo for a few days and he also had closed the Museum and the Basilica to prevent Hitler from accessing the Vatican through the Museums. 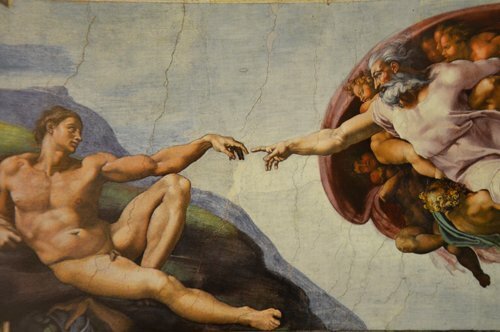 Did you know that Michelangelo, when he worked in the Sistine Chapel, had to paint more than five thousand square meters? In fact, the surface of the vault of the Chapel is thirteen meters wide and forty meters long. To carry out this work, Michelangelo took more than four years, from 1508 to 1512, to decorate the vault and another six in the famous fresco of the Last Judgment. 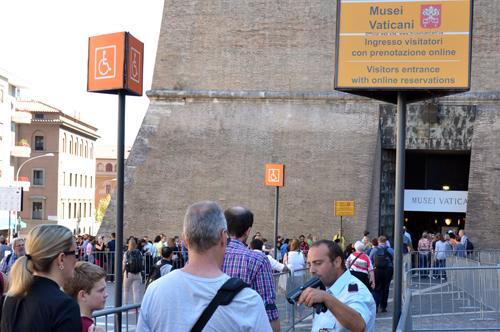 The Vatican Museums are among the most visited museums in the world, for this reason we recommend buying the tickets in advance, thus to avoid the long wait at the tickets office. The priority entry is also expected for those who participate in a visit with a fixed time or a visit with a private guide. 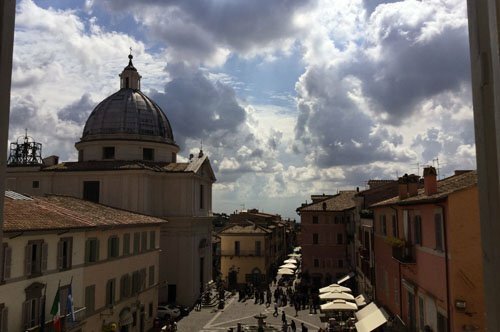 You can choose from a wide range of guided tours; the duration of the visit varies from a minimum of 3 hours to a one-day visit that includes the Museums, the Vatican Gardens and the train transfer to Castel Gandolfo with a visit to the Pontifical Villas. 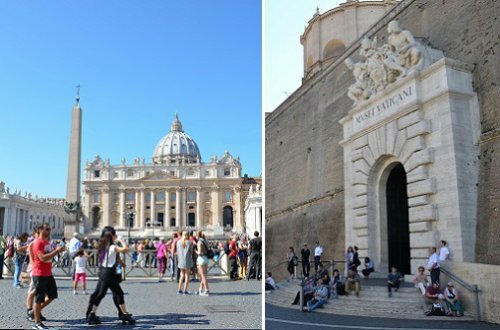 With a private guide you can customize your itinerary and during the summer you can even visit the Vatican Museums after the closing time. 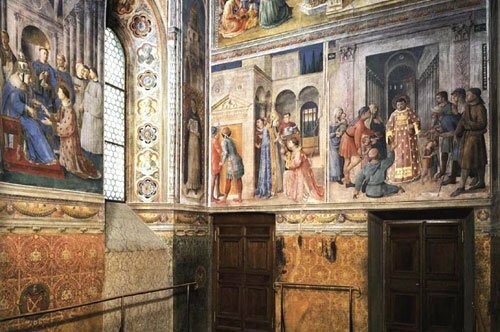 In addition, with a private tour it is possible to visit areas of the museums that are generally closed to the public, such as the Chapel of Nicholas V (Cappella Niccolina). 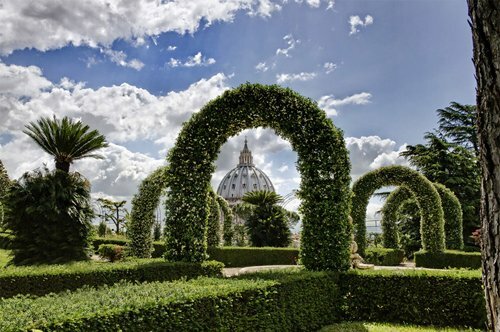 The priority entry to the Vatican Museums and the Sistine Chapel, without guide service, is also included in the guided tours of the Vatican Gardens. 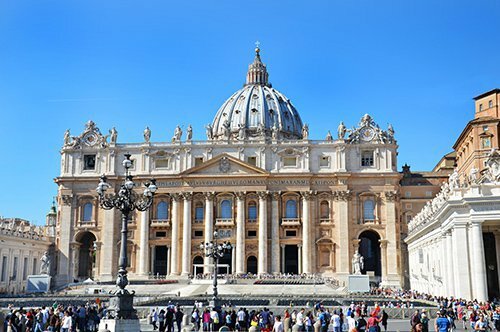 The Vatican Museums, with the famous Sistine Chapel and St. Peter's Basilica, are located within the Vatican City, where you can also visit the Vatican Gardens. Not far away, in the direction of the Tiber River, it is possible to visit the Castel Sant'Angelo that, over the centuries, has been transformed from a funerary monument, like the tomb of Cecilia Metella, to a fortress; from prison to a Renaissance residence and finally to a museum. Crossing the river you will go to one of the richest areas of Rome in terms of monuments and history. 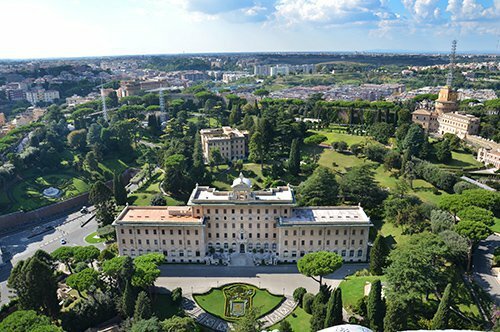 You can see the Ara Pacis, the Capitoline Museums, the Pantheon and walk to the Roman Forum, to the Palatine until you reach the Colosseum, one of the Roman monuments known throughout the world. 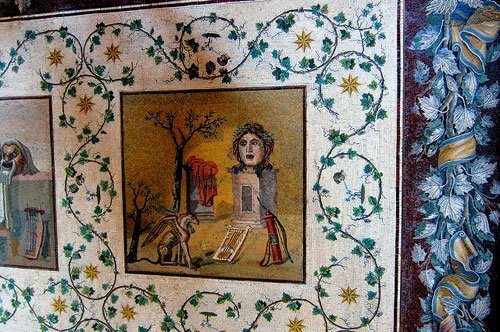 Not far from the Colosseum is the Domus Aurea, the ancient and majestic residence of Nero. If you want to visit the ruins of one of the largest thermal complexes of the ancient Rome, visit the Thermae of Caracalla. 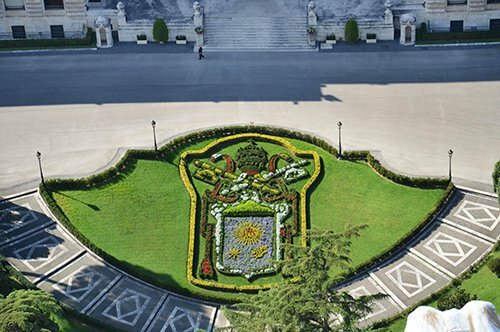 In another area is the large park of Villa Borghese, where you can visit the Borghese Gallery. You can check the Rome Map to move around the city easily. You can visit the Roman National Museum and go to the archaeological site of Villa dei Quintili in the ancient Via Appia or the Villa d'Este in Tivoli and admire the splendor of the Italian Renaissance. An interesting experience will surely be the visit to the Catacombs of Rome and you can reach the area of the Roman Castles. Castel Gandolfo, considered one of the most beautiful villages in Italy.